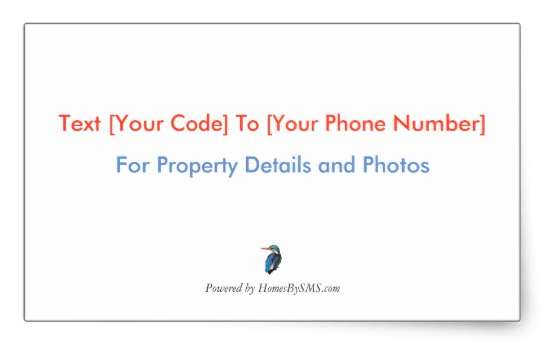 The RealBird SMS real estate marketing stickers are 40% OFF until September 24, 2017 via this link. Make sure you customize the text on the sticker before adding to your cart, using your own SMS code and RealBird SMS phone number. The example above shows the 4.5 x 2.7 inch RealBird SMS marketing sticker. You’ll get a sheet of 4 stickers for this amazingly low price of $6.75-40%=$4.05. Coupon expires September 24, 2017.